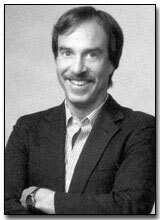 Heisler is the Los Angeles Times’ national NBA writer. Previously, he covered several “beats”, including the Dodgers and Lakers. Heisler’s current duties include covering the NBA, stories of national interest and covering the playoffs. Mark co-authored the book “Bob Knight: The Unauthorized Biography”. He also authored the books “Giants: The 25 Greatest Centers of All Time”, as well as “The Lives of Riley” and “Madmen's Ball: The Inside Story of The Lakers' Dysfunctional Dynasties”.